In a two horse race, is it off to the glue factory for Tizen? Is all not well already in the Land of the Tizen? It seems that Samsung's fledgling OS is falling at an early hurdle, with networks unwilling to stock Tizen handsets and app makers unwilling to develop. Tizen, the South Korean brand's effort to bring a new player to the mobile space, was set to debut in Japan on NTT DoCoMo in mid-January but we're now in February and there is still no sign of the Tizen smartphone, with the Wall Street Journal claiming that the network didn't see demand for the new platform at this time and thus shelved plans for launch. President Kauro Kato publicly said "Tizen continues to be extremely important" but added that his network "will watch global market trends to decide on a launch". Samsung's OS is also struggling around the world. French operator Orange SA had also planned to launch a Tizen device at the same time but an Orange spokesperson told the WSJ that the development "is not as mature as we may have expected at this point", meaning Tizen is not in Orange's immediate future. Given that talk of Tizen toting handsets have been around for a while (ZTE were rumoured to have a device set for 2012 and Samsung confirmed devices for 2013), it's easy to see why expectations were so high. Are the challenges proving too much? It seems that Tizen has yet to prove itself as a viable alternative to the market leaders of Android and iOS, with Windows Phone, BlackBerry, Firefox and the upcoming Sailfish OS also left competing to try and win both network and consumer support. Telefónica of Spain decided that Firefox was a much better way to enter emerging markets, having left the Tizen Association and being the first network to commercially release a Firefox toting handset. Will your next phone be on show at MWC 2014? Samsung is still set to offer previews of the device at MWC 2014 to show off the platform, likely in hopes to give it more impetus globally and show it's a challenger platform. These previews could include both the Samsung Zeq 900 and the ZTE Geek. These devices could prove incredibly important to the Korean firm as a way to break free from the Google mothership. Every one of Samsung's Android handsets ships with Google software and leads to purchases from the Google Play store, something that Samsung knows is a very lucrative market. It looks like selling the platform to developers is proving tricky too. Cash incentives, with $4 million of prizes for Tizen app developers, also aren't proving tempting enough for the larger app makers to jump on board. According to an executive at one of Android's most popular apps, Samsung approached with an offer of more than $100,000 to adapt to run on Tizen OS, only to be turned down. 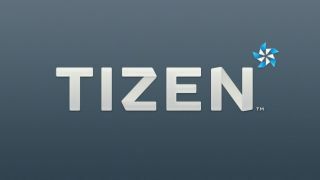 The problem appears to be the number of Tizen based devices on the market, a problem that is leaving the Tizen app store floundering on around 6,000 apps. "Software developers just care about the number of mobile phones on the market" said Tizen Association Chairman Roy Sugimura adding "Such an attitude makes it very difficult for Tizen to get approval because right now there are no users." This leaves Samsung wooing smaller developers in a bid to break free from a cycle; a lack of apps leading to low consumer interest, networks then eschewing Tizen handsets leaving app creators unwilling to develop. With MWC 2014 just around the corner we're expecting a massive push from Samsung to get Tizen into the public eye, and if anyone has the clout to do that it's Samsung - the same company that shipped over 72.4 million smartphones in Q2 2013. Can Tizen really challenge Apple and Android?